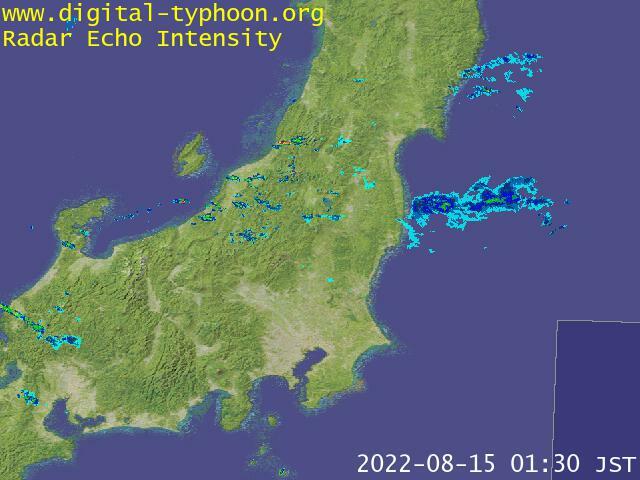 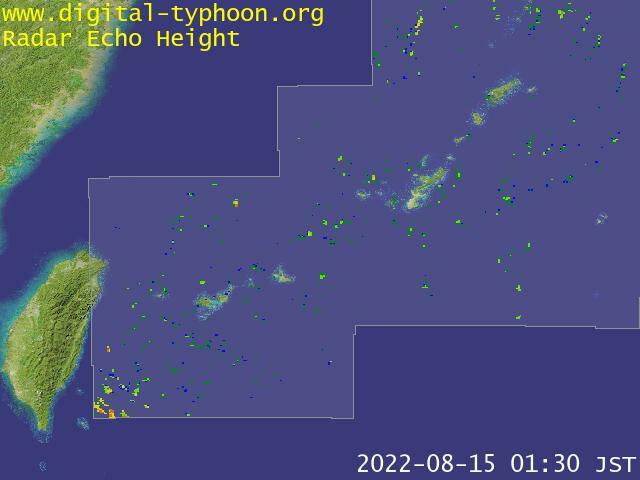 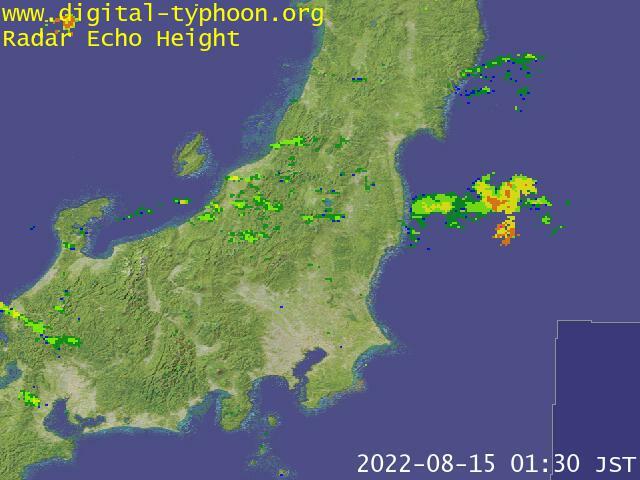 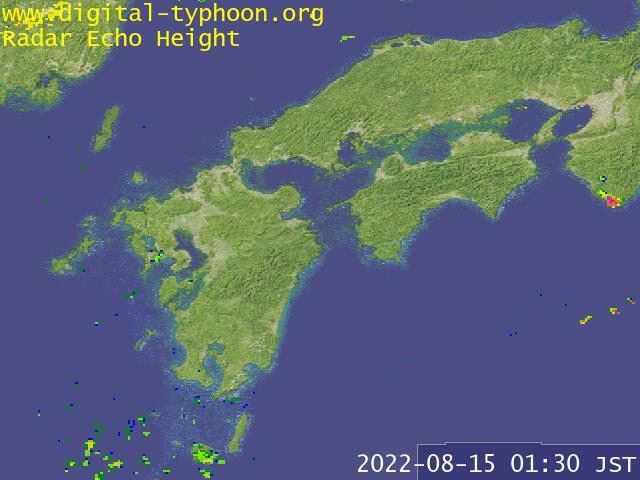 Realtime weather radar data is visualized on the map. 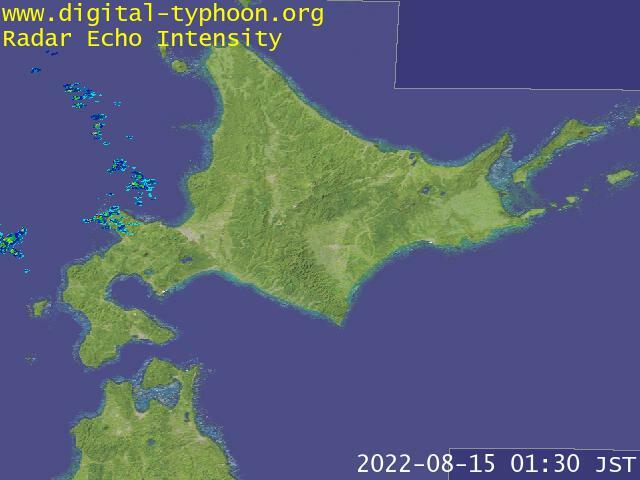 The target is radar echo intensity and radar echo height. 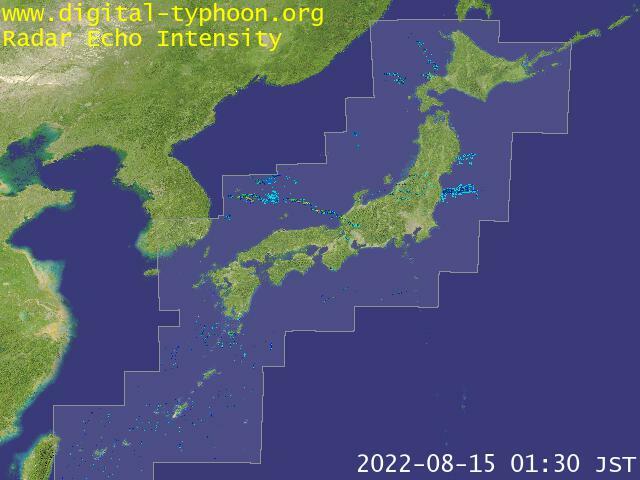 For past radar images, please visit Radar Animations.